Real Food Weekly Meal Plans are a perfect way to keep your family on a whole food diet and lifestyle. Certified Nutritional Therapy Practitioner, Roz Mignogna (NTP), creates four dinner meals plus extra recipes every week that are wholesome, nourishing, nutritious and delicious. Recipes focus on real, whole foods that are in perfect nutritional balance, are packed with essential nutrients, and are delicious…even for the kids! You want to eat well and make sure your kids have the best nutrition possible, but you are still left with the “what’s for dinner?”dilemma every night. 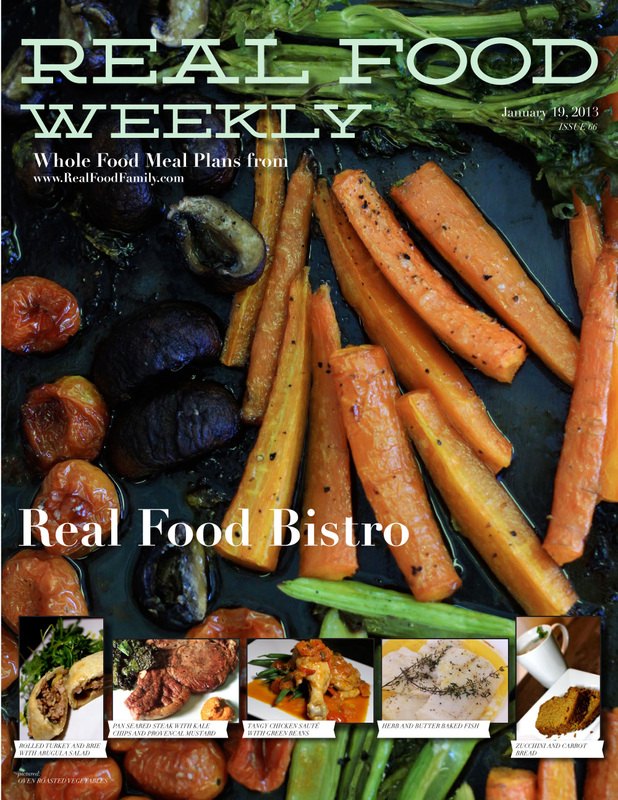 Real Food Weekly represents hours of planning, recipe testing, and shopping list organizing with professional nutritional analysis. COOK AND ENJOY THE PEACE OF KNOWING YOU ARE NOURISHING YOUR FAMILY WITH DELICIOUSLY HEALTHY FOOD! In addition to the great service Real Food Family offers to your family, 50% of EVERY DOLLAR WE RECEIVE is donated to Potter’s Field Ministries.